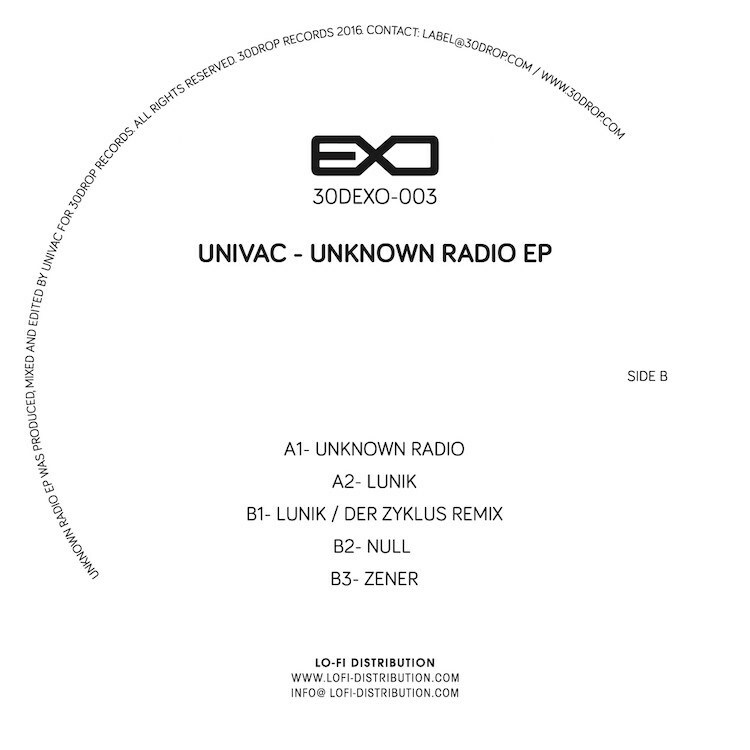 There is a Der Zyklus remix/remodel of 'Lunik' on the forthcoming 12" EP by Univac, Unknown Radio, on the 30 Drop label. 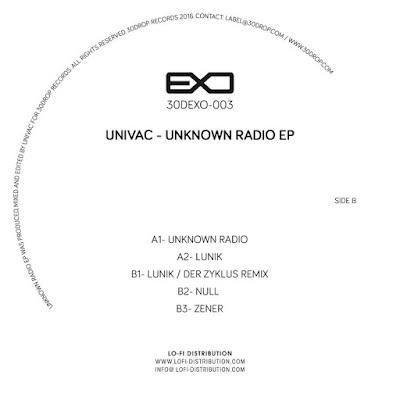 Univac is a side project of Geistform's Rafa M. Espinosa from Spain. You can listen to a sample of all 5 tracks at this link. The record is due on 13th June. There is a new track by Zerkalo, 'The Lake', available to download for free and to stream at this link from a collection of unreleased music (1997-2015) by Victoria Lukas called Closet. There are some other great tracks on the album too. The new Der Zyklus album, Renormalon, is ready to order now and will ship on 23rd May from this WeMe link on clear vinyl. Black vinyl also available elsewhere online (see previous post for more info). There might be a good reason but in case anyone has been wondering; its been almost 6 months since Clone announced they would be releasing Zwischenwelt's album, Paranormale Activitat, on vinyl for the first time and there is still no sign of it. Rephlex released it on CD only in 2011 and also initially advertised a vinyl edition. Hopefully someday this will actually happen (hopefully now in early July this year). Link to this item on the Clone shop. One of the very early Dopplereffekt shows which was played as a duo was in Malmo, Sweden in February 2008. This was later broadcast on a local radio station and is currently archived in full on MixCloud. There is an introduction in Swedish and the quality is perfect. Well worth a listen at 58 mins. Great effort at this YouTube link to cover Drexciya's 'Lake Haze' using just a Korg Electribe 2 by a very talented young producer. While it's impossible to recreate what was made live with analogue hardware, it's great that someone from a much younger generation is interested enough in their music to try, as well as being willing to show how the equipment can be used.